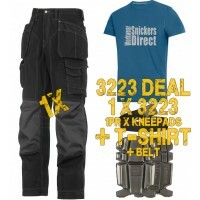 Snickers Floorlayers Trousers Offers at Snickers Direct. Snickers Floorlayers Trousers are tailored to the needs of those in the floor laying industry. 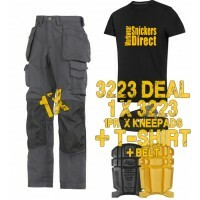 Made from innovative rip stop fabric with pre-bent knees for comfort, these trousers are ideal for anyone spending long work hours at floor level. 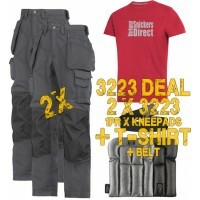 Each pair of Floorlayers Trousers also come with added space for knee pad protection to be added. 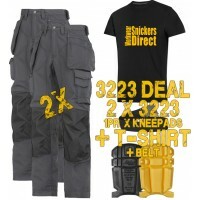 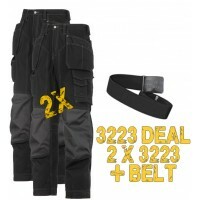 Check out our latest bundles and offers on Floorlayers Trousers at Snickers Direct now.